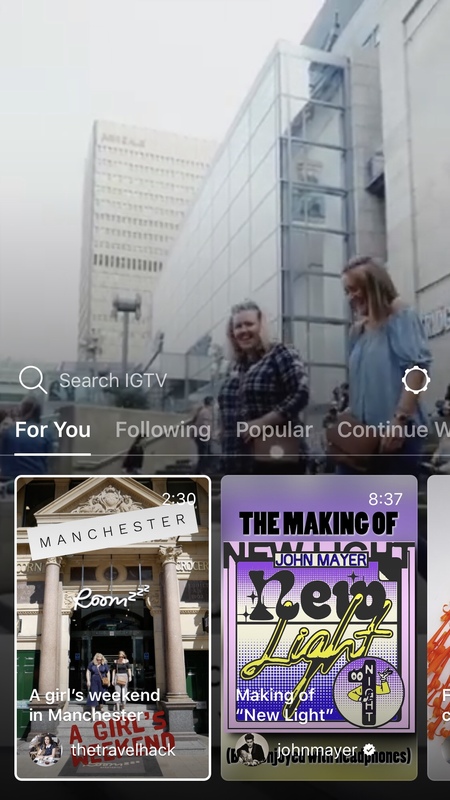 It’s a step up from Instagram Stories and it’s not quite YouTube, here’s the low down on IGTV aka Instagram TV. I love Instagram, and even though it’s frustrating with the follow un-follow game and changes to algorithms I am hooked on this app. Not only has it changed the social media landscape but it’s also changed how people can do their PR, advertising and marketing. 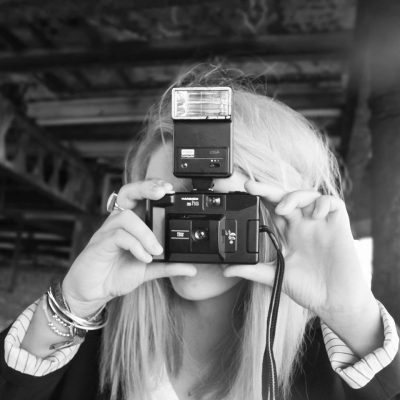 It’s now much easier to get images and video content online, it’s given a lot of power to the brands and influencers as well as new and creative ways to raise awareness. The launch of IGTV will be an interesting one to watch. 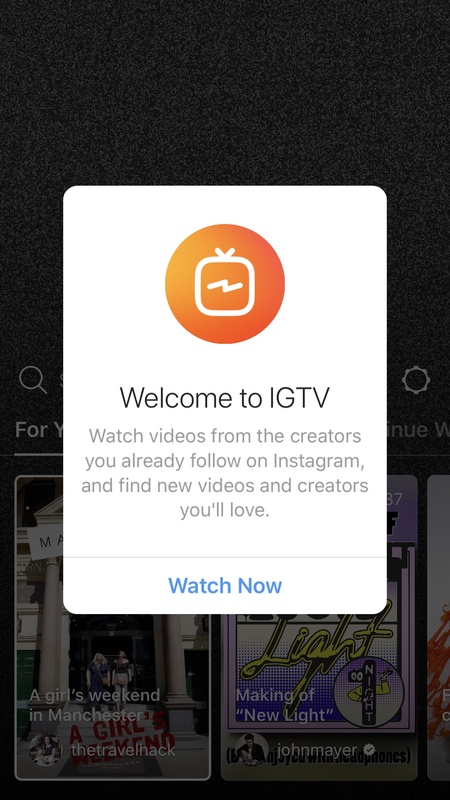 With the close of Vine and the sheer scale of YouTube, I’m actually quite excited to see what IGTV will bring to the fold. 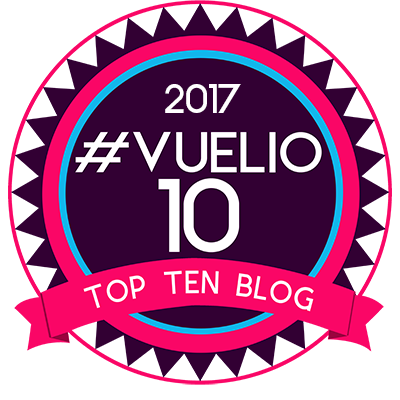 I think it’s going to encourage more spontaneous content which in turn will be more chatty, informal and feel more personal. You’re initially going to get a lot of replica content, think tutorials, unboxings and monthly or weekly vlogs. Travel, holiday and food content from people will continue to be popular as this will make it even easier to post things that are slightly longer than IG Stories. The biggest impact, in my opinion, will be the fact it encourages more people to become creators and film easy video content. In the long term I think it will create more vloggers and more citizen journalism. When big world events or news happens I think we’ll see more reactions, a bit like Facebook live. I’m not sure if that’s for the better or worse. If it’s bad events it’s going to be more graphic content that can be upsetting or at the other end of the spectrum we’ll see more music events and snippets of magical moments between friends and family. Cue engagements, weddings and babies! 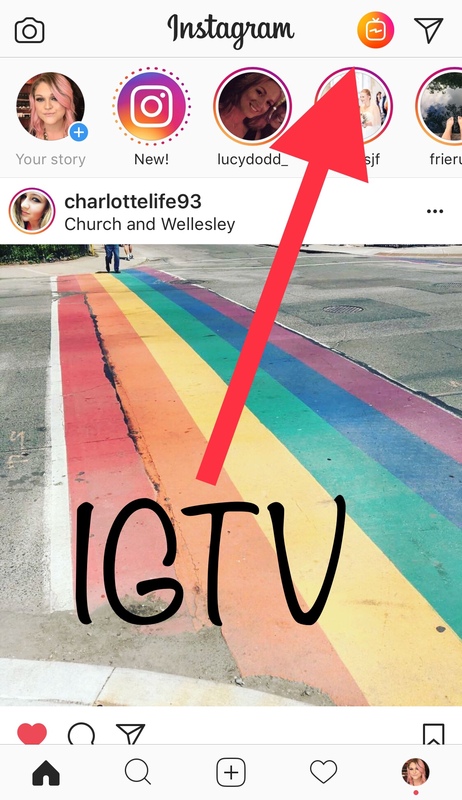 Is IGTV going to step on YouTube toes? Possibly in the future, once it’s fully formed and people are using it regularly. It’s a fine line to tread, especially with the recent epic failure of social platform Vero. Although Vero didn’t have the backing of a platform with a billion followers! Does Instagram want to take on YouTube and steal a piece of the pie? Of course it does! It’s all money. 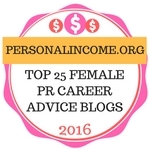 It’s all advertising, branding and a way to generate top dollar and be at the forefront of social media developing. Evolve to survive, it’s digital Darwinism! So here’s a quick run down to the new app and what it hopes to add to the current social media mix. 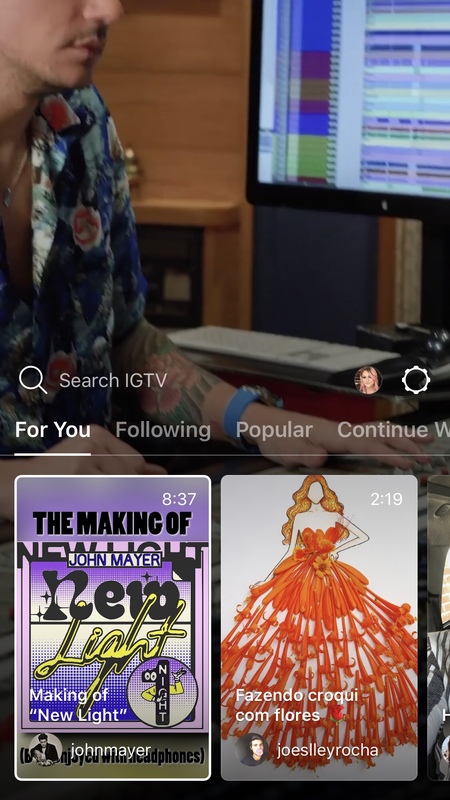 IGTV is bridging the gap between Instagram Stories and YouTube, it’s a new app for watching long-form, vertical video. The aim is to make producing edited video content quicker, easier but not as in-depth as editing a YouTube Video or as simple as an Instagram Stories. I’m going to bullet list this to keep it short, sweet and to the point because there are a lot of features to cover! Read Instagram’s full press release or visit the help centre to find out more about IGTV. How can I use or watch IGTV? You can watch or use IGTV through your existing Instagram account or through the dedicated IGTV app. 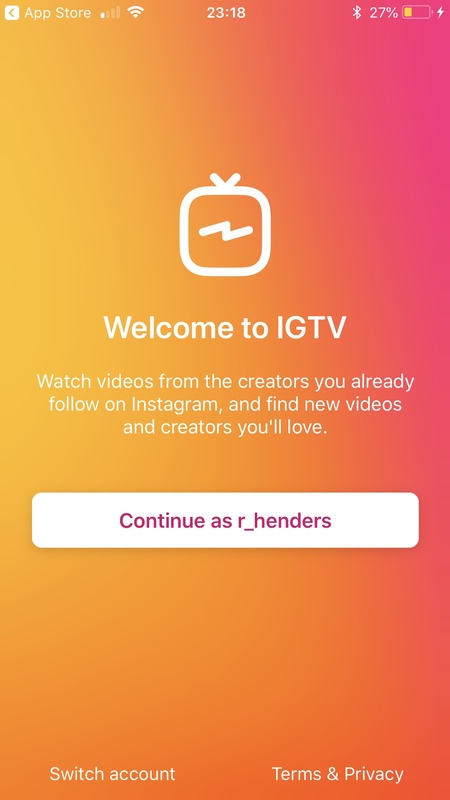 When you click on the IGTV logo for the first time this is the screen you’ll see. Once you press ‘Watch Now’, you will be taken directly through to the videos to start watching. It has very similar features to IG Stories, you can swipe up or left and right so it’s really easy to navigate around the app. Once you’ve clicked through you’ll be presented with this screen as you’re main ‘page’ on the app. Swipe through the videos at the bottom to find something you want to watch. You can also use the search function to search for something specific. The other way to view IGTV is through the app, which looks like this when you download it from the App Store. 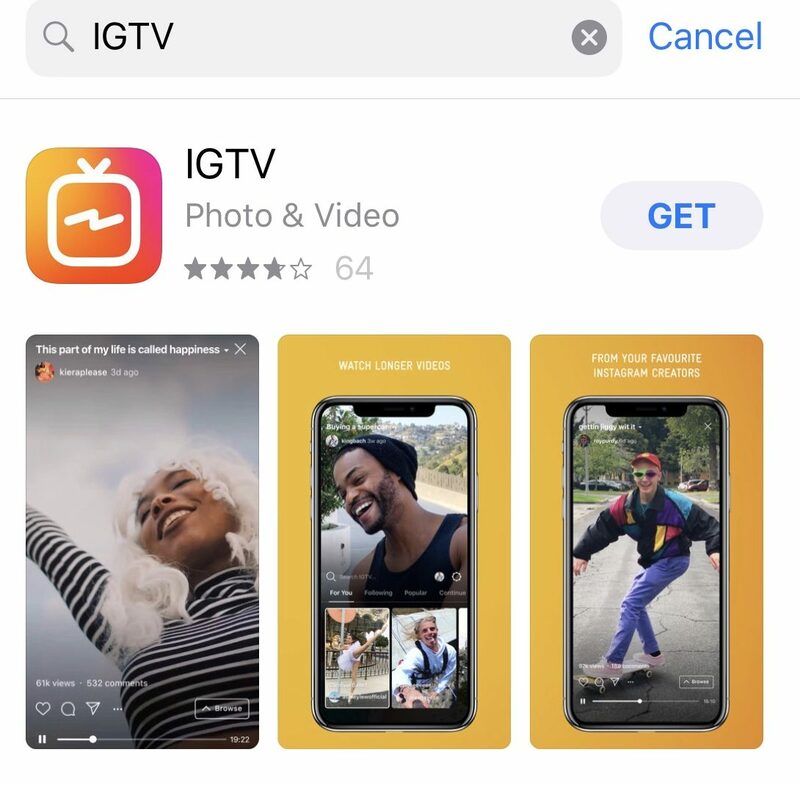 The IGTV app – download now! Get Notifications – you’re nearly through the download process! Once set up is completed, you’re at the main page with autoplay content doing its thing! So that’s my quick round up! 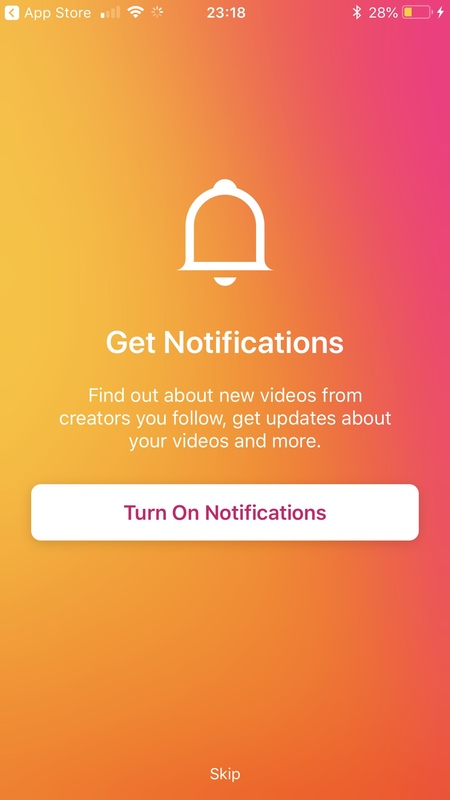 What do you think of IGTV? Have you used it yet? Do you think it’s a threat to YouTube? Do you feel like it has a place in the social mix or are wondering why it’s even been created?